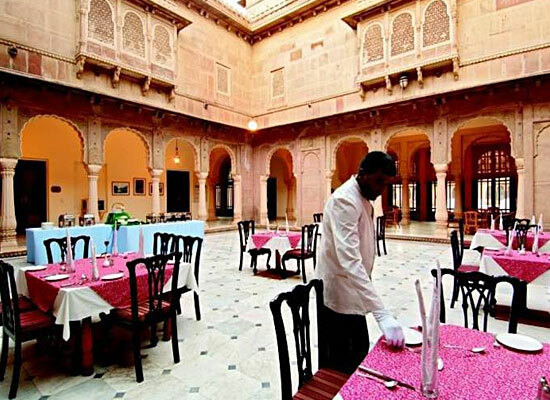 "One of the most popular heritage hotels in Bikaner, Lalgarh Palace is known for the most intricate stone carving on red stone and its grand Indo-Saracenic architecture. Spread in verdant gardens with dancing peacocks, open courtyards and vibrant bougainvillea flowers, this heritage hotels offer its guests, a memorable stay. 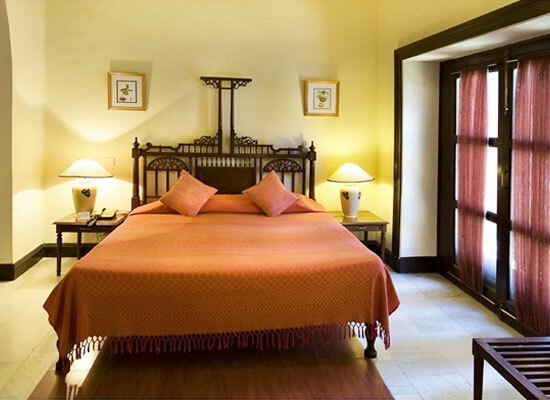 Built in the end of the 19th century, the hotel has huge, well-fitted guest rooms and suites. 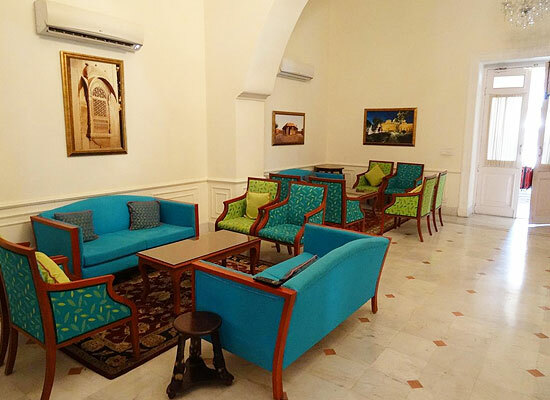 While the decor is regal, the services are world-class. At the on-site multi-cuisine restaurant, the gusts can savor sumptuous meals. Commissioned in the second half of the 19th century as the residence of Maharaja Ganga Singh, Lalgarh Palace was designed by a famous architect, Sir Swinton Jacob. The main construction started in 1896, and the first quadrant was finished in 1902. The palace was played host to important people, Lord Curzon being the first one. Maharaja Ganga Sing named the palace after Maharaja Lall Singh, his father. While the exteriors are Rajputana, the décor is occidental. It has now been converted into a heritage hotel. The 56 rooms (Lalgarh Suite, Suite Room, Deluxe Room Single/Double) of the hotel have retained much of its heritage value. Exquisite period furniture, chandeliers, and latticework have been incorporated with modern fittings and equipment but at no time do they look jarring or out of place. 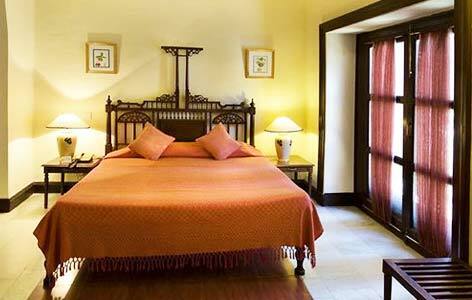 Rajasthani paintings and hunting trophies are there in some of the rooms to lend that erstwhile charm to the rooms. Every room at Lalgarh Bikaner is equipped with all the modern comforts such as air-conditioner, dressing table with mirror and chair, stylish lamps, television, wardrobe, sitting area and more. The in house restaurant of the hotel provides you an array of delectable dishes ranging from traditional Rajasthani cuisines to Continental and Chinese dishes. There is a well stocked bar at the hotel premises to enliven the atmosphere. 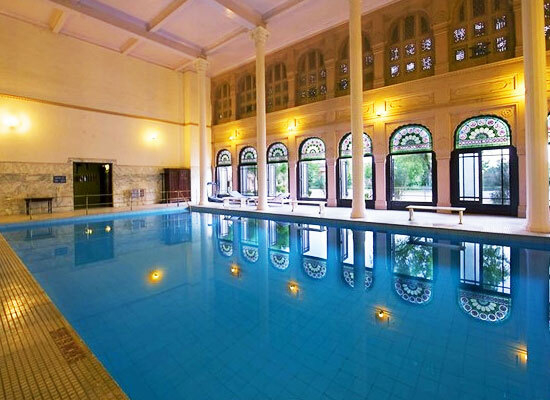 Bikaner is well connected to all the major and minor cities of Rajasthan. The nearest airport to Bikaner is in Jodhpur. It has direct train services from Delhi, Mumbai, Calcutta, and Jaipur. The city abounds in sandstone palaces, forts and temples which act as major attractions for the tourists. Winter temperatures can drop considerably low, so it is advisable to carry winter gear, if you plan to visit the place in the season.